Courtesy of Willis Allen Real Estate, Drew Nelson. 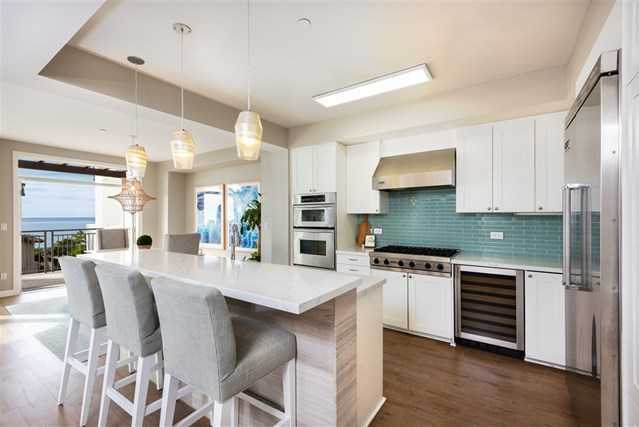 Refreshingly light & bright Breakers unit at Seahaus in La Jolla! This gorgeous single level condo has floor to ceiling windows, a balcony, an island kitchen & an open concept with panoramic ocean views! There are 2 large bedrooms, laundry & a flexible space that could be a bedroom, office or family room. With updated flooring, kitchen & living areas, it has a clean coastal contemporary style from which all of Seahaus’s amenities ie pool & gym, not to mention the charms of Bird Rock, can be enjoyed.